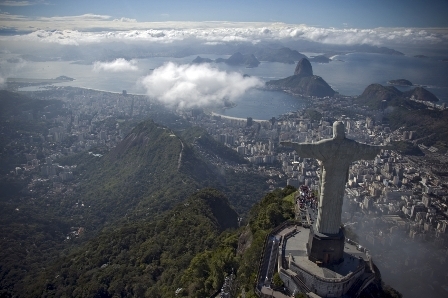 Brazil – every day's a holiday! It began with a two-foot tall sculpture. Headless at that. Three fishermen were casting their nets in the Paraiba River in Brazil. The year was 1717. Their nets were turning up empty until one of the fishermen pulled up a dark brown headless statue of a woman. Intrigued the fisherman cast his net again and pulled up the head. After finding the statue, the men’s net grew heavy with fish. They called the idol Nossa Senhora da Aparecida–Our Lady Who Appeared. For the first 15 years, the small black Madonna was housed in one of the fishermen’s homes. Legends grew around the doll and the miracles it performed, including one legend about a slave who visited the shrine, whose chains broke when he came in contact with the idol. It became a symbol of hope for the oppressed in Portuguese-controlled Brazil. By the 1760s, due to its popularity a basilica was built to house the shrine, and the town itself became known as Aparecida. The basilica was renovated in the 19th century. In the 1950s a new, larger basilica was begun to accommodate the overwhelming amount of visitors. The Pope declared Our Lady of Aparecida the patron saint of Brazil in 1928, and today the National Shrine of Our Lady of Aparecida is widely considered the second largest church in the world after St. Peter’s. It can accommodate 45,000 people and receives almost 7 million visitors a year. 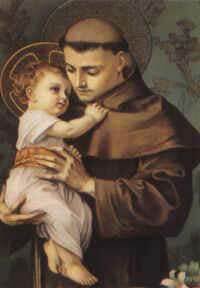 October 12th is the national saint’s feast day, but these days the holiday is also celebrated as Children’s Day. Children throughout Brazil look forward to this day all year, for it’s the day they unwrap gifts from their parents. 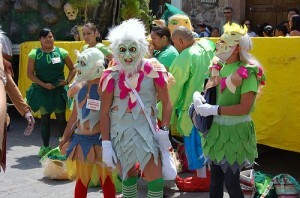 In many places in Brazil, Children’s Day is even bigger than Christmas. 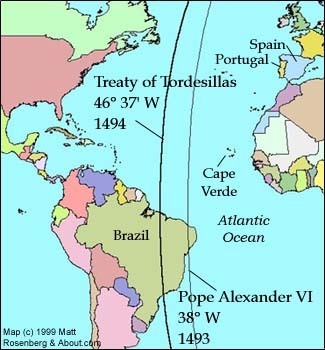 Had the Pope’s arm slipped just an inch that day in 1494, the people of Brazil might be speaking Spanish right now. But the vertical line in the Treaty of Tordesillas that split the world outside Europe between Spain and Portugal held steady. The Pope alloted the easternmost chip of the Americas to Portugal, while Spain got the rest. The history of Brazil would unfurl quite differently from the rest of its neighbors, and indeed from all of the Americas. As Portuguese explorers pushed eastward that chip of South America soon became the largest colony on the continent. A land that contained vast jungles, endless rivers, and bountiful resources unimaginable to the Europeans back home in Portugal. 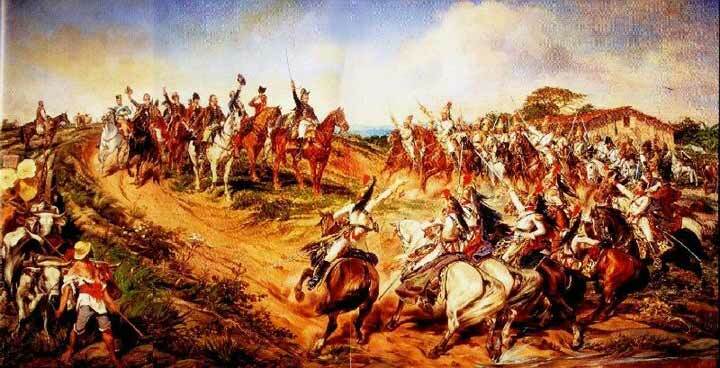 At the beginning of the 19th century, Napoleon of France invaded Portugal. As a result, South America was a scene of pandemonium for the next two decades. The Spanish colonies refused to answer to the French and declared their autonomy one at a time. Even when Spain kicked the French out of their homeland, the people of South America maintained their independence, leading to several lengthy wars between Spain and its colonies. From Buenos Aires to Santiago to Lima and beyond, the wars were hard fought and costly, both in terms of resources and human lives. The situation in Brazil was different. João VI fell in love with Brazil, and when the French were booted out of Portugal in 1815, he refused to come home. João made Brazil its own kingdom, an equal partner with Portugal. But the folks back home were not so thrilled about this. They demanded that the royal family return to Portugal and that Brazil be made a colony again. Eventually the king was forced to return home to maintain order in Portugal; his 23 year-old son Pedro stayed behind and became regent of the Kingdom of Brazil. Pedro defied orders to return to Lisbon. The Portuguese Parliament limited his powers, and attempted to make Brazil a subservient colony once again. Upon hearing this news at the bank of the Ipiranga River, Pedro famously declared: “Independência ou Morte!” (Independence or Death!) The Grito do Ipiranga (Shout of Ipiranga) took place on September 7, 1822. Pedro was proclaimed Emperor of Brazil on October 12, his 24th birthday. 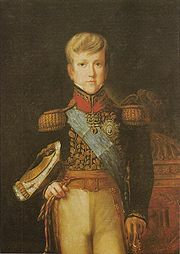 In 1831, Pedro abdicated the throne to his 5 year-old son, Pedro II and returned to Portugal. Pedro II ruled as Emperor for nearly 50 years. In 1889 the Emperorship was abolished and Brazil became a republic. Día del Amigo has become a Christmas holiday without the gifts or family members. It has spread such that it no longer covers only friends, but anyone who walks by. In Argentina and Uruguay July 20th is Día del Amigo, Friend Day. It’s not a public holiday, but more in the vein of Valentine’s Day—just a day for old friends to get together or strangers to get to know each other. 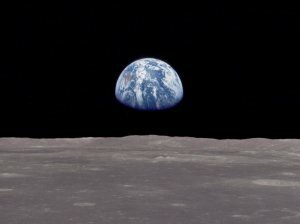 It was promoted by Dr. Enrique Ernesto Febbraro, a professor of psychology, music history and dentistry, who was inspired by the feeling of global communion that swept the world as millions of folks all over the planet tuned in to watch or hear about the lunar moon landing on July 20, 1969. My first thought was to dismiss the whole thing as some sort of Hallmark holiday [but] …Apparently Febbraro’s efforts have paid off, as many Buenos Aires restaurants have been booked solid for a week or more. In 2005 part of the Argentinian cellular network crashed on Día del Amigo under the strain of so many people calling and texting their friends and loved ones. This year is the 40th anniversary of the Lunar Moon Landing by Neil Armstrong, Buzz Aldrin, and that other guy. For that reason, scientists have also proclaimed July 20th Moon Day. Moon Day hasn’t made as deep an impact as Earth Day yet, but if South America keeps up Día del Amigo, July 20th may give April 22nd some competition. Día del Amigo is not to be confused with International Friendship Day, which was proclaimed in 1935 as the first Sunday in August, and which to the best of my knowledge nobody really celebrates.